Ralph was recently highlighted in the Latina Style magazine about his legacy of service. Ralph de la Vega was once again chosen as one of the 101 Most Influential Latinos. 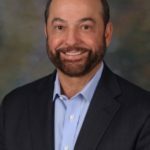 Atlanta’s top booster at AT&T, Ralph de la Vega, is moving to Dallas as part of his promotion to vice chairman of the international telecommunications company.